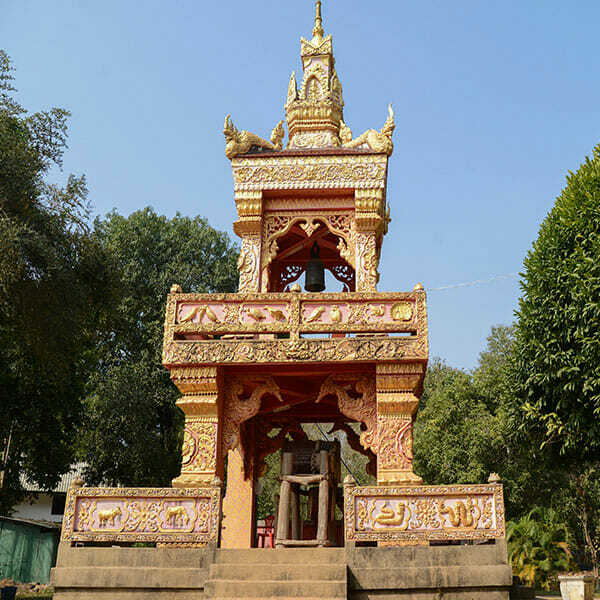 Meet our tour guid at your hotel lobby in early morning in Chiang Mai so we start this golden triangle boat to laos tour relaxing during a scenic drive through the countryside with air-conditioned comfort of your minivan. 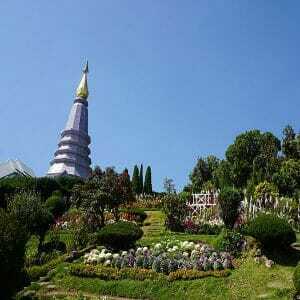 Driving to destinations and to the Golden Triangle and Chiang Rai your guide will give you many details of the full-day itinerary awaiting you ahead and will share many informations about this opium-producing capital past. 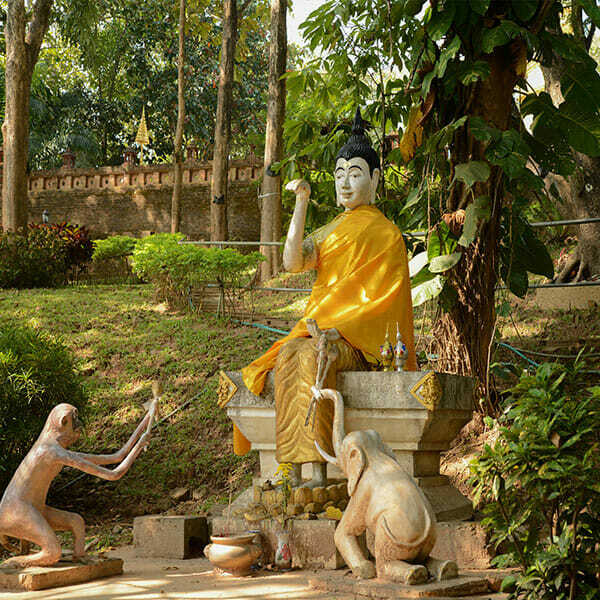 We will make a stop at the Mae Ka Chan hot springs to give you time to relax and enjoy great relax in three natural pools. You can have fun with tiny fish with a feet fish Spa or purchasing quail eggs to cook in the boiling waters. 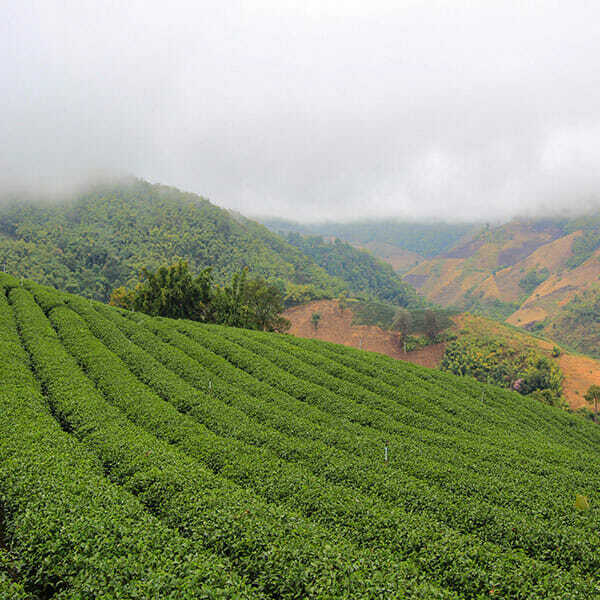 We will continue than driving to the borders of Thailand, Myanmar (Burma) and Laos to sightsee from a viewpoint set on high spot on a hillside to enjoy the panoramic view over the three countries. Experience al the scenes unfolding below or opt for the boat ride across the mighty huge Mekong River. 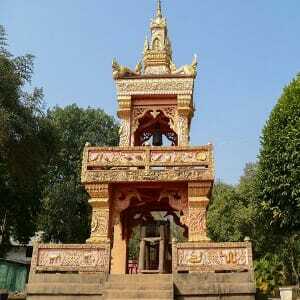 The tour continues to Mae Sai, the ancient trading post located near the Thailand-Myanmar border at the northern part, here a local buffet lunch will be served for your joy. 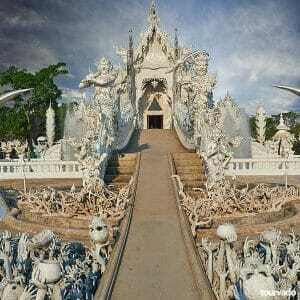 We can’t miss of course to see the city of Chiang Rai and your guide accompanies you to visit famous Wat Rong Khun or, the White Temple, This is a contemporary complex made of shimmering glass and painted fully white plaster and all rebuilt by the local city artists in 1997. 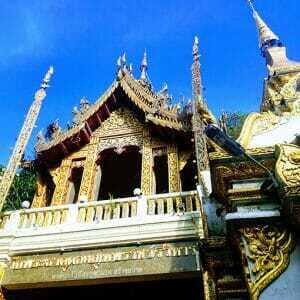 On the journey to Chiang Mai we will also take a visit to the hill tribe villages of Akha and Yao before! 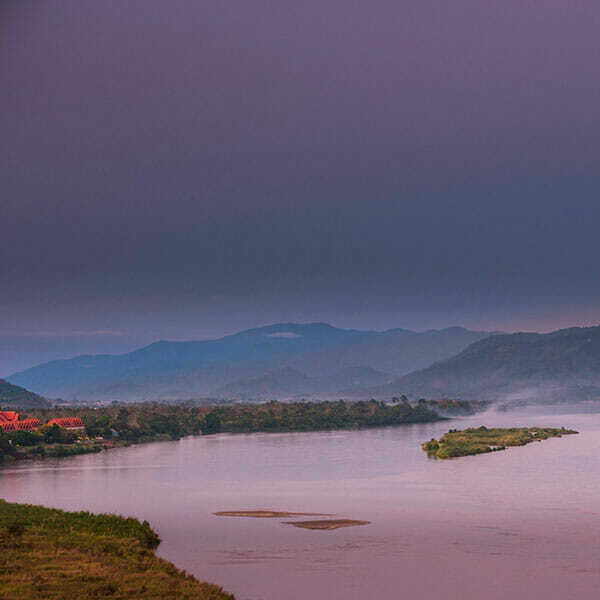 For this great full day Golden Triangle Tour do not forget your Passport and 30 Thai Baht for immigration fees to pass the Laos border ! 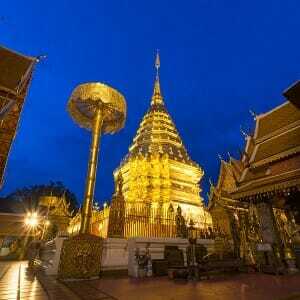 A wonderful day trip to Chiang Rai and to the famous Golden Triangle to see all the most visited locations where Thailand’ borders join with Burma and Laos. 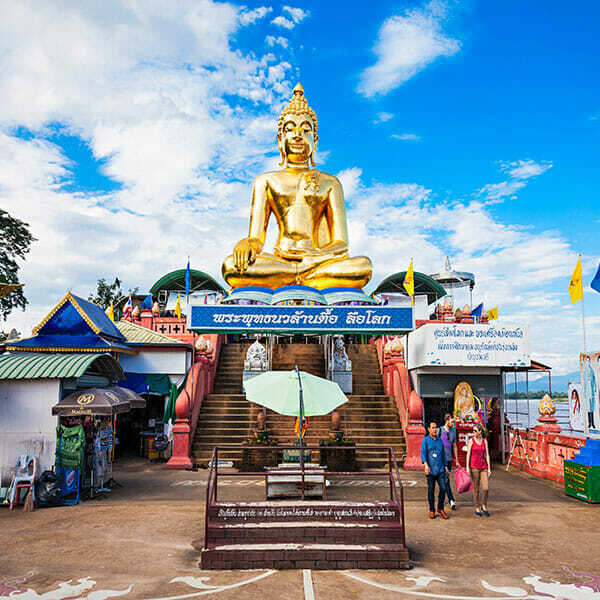 With a profesional guide we will drive through wonderful and idyllic countryside to get to visit local hill tribe villages ending in relax at the Mae Ka Chan hot springs. Marvel and shot incredible pictures at the White Temple also known as the Wat Rong Khun, enjoy amazing countryside views over the Mekong River navigating through the region notorious for its opium trades. Don’t forget your Passport and 30 Thai Baht for Immigration fees to pass the Laos border!